The health effects of nasal trauma in childhood can sometimes occur in the long term. The most important growth points in nasal development are on the nasal septum which divides the nasal cavity in two. 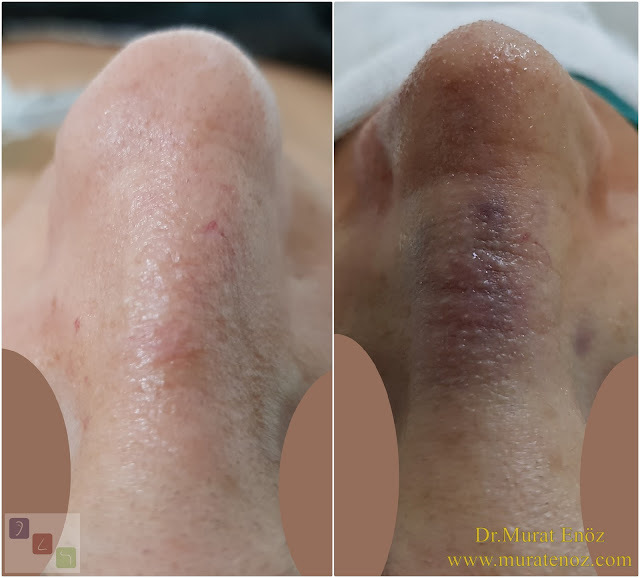 Since bruise traumas in children mean the crushing of growing bone and cartilaginous tissues, the effects of trauma on the nose can become evident over the years as nasal development continues. Serious trauma injuries rarely occur in the pediatric population, but nasal injuries are more common. Assessment and treatment of nasal trauma are quite different to children in comparison to adult nasal rashes. Poor patient cooperation during physical examination, combined with significant anatomic differences, may lead to a more difficult diagnostic dilemma for the KBB specialist. 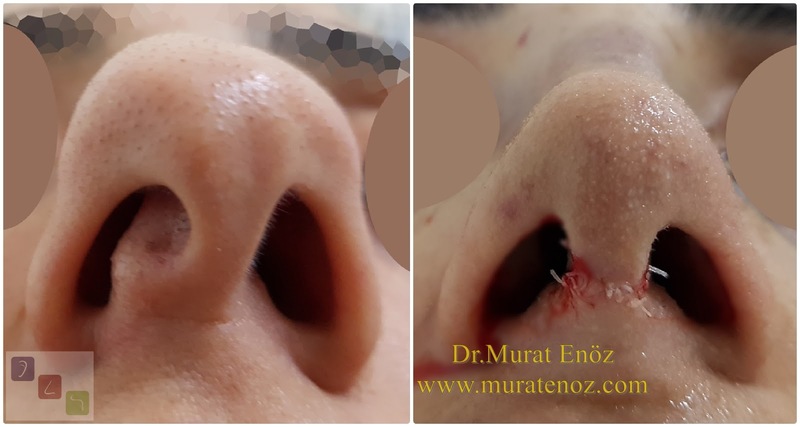 Surgical treatment of pediatric nasoceptor injuries on nasal and midfacial growth that disturbingly progresses to nasal growth centers is controversial (source: Pediatric nasal injuries and management). 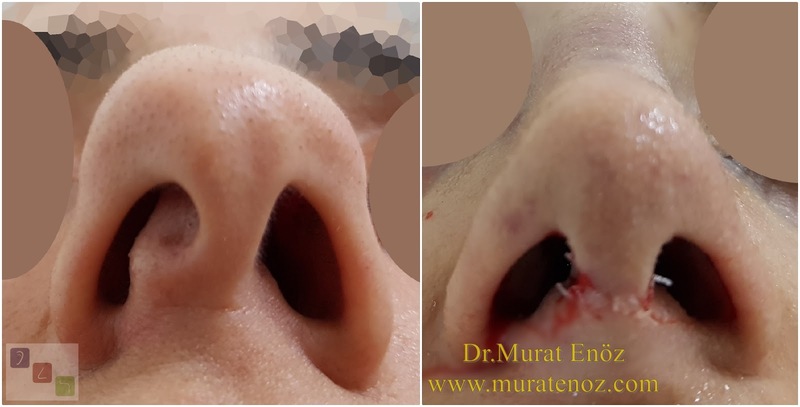 ➤ Especially in children who fall on the nose or have an impact from the front to the back of the nose, there can be very different symptoms, such as caudal septum deviation, laxity at the tip of the nose, and sagging nose, nasal obstruction, nasal swelling due to cartilage damage and damage to the nose growth point . 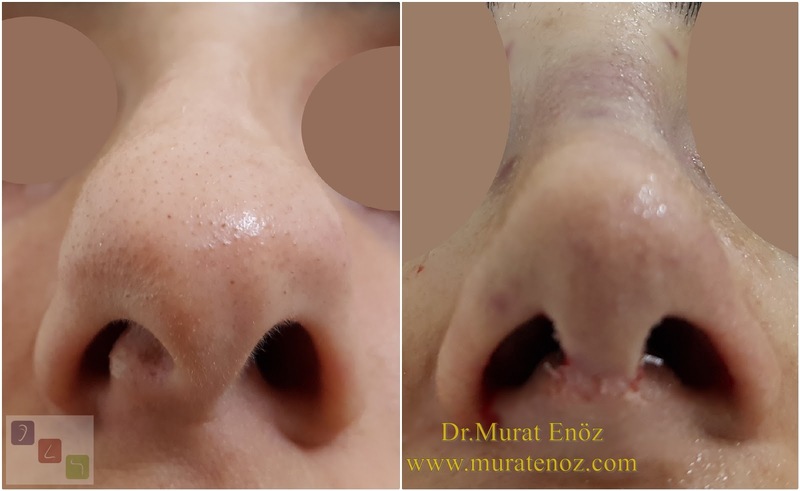 Because the nasal bone is not broken, there is swelling and bruise in the nose; the nose growth points may be damaged and the change in nose shape with growth may become evident. ➤ When children have nasal bone fractures, attention should be paid to sportive activity: time is needed for nose healing. The nose can be easily evacuated during this time. For this reason, most clinicians recommend that children stay away from all sports for at least 2 weeks. Your child should avoid contact sports (such as football, wrestling) for at least 6 weeks. ➤ Nasal fractures are more common in adults than in children. In children, the nasal bones are more difficult to break. Breaking the nose is very rare in young children. Risk increases with age. Nose fractures are seen in boys rather than girls. The nose bone is one of the facial bones and actually plays a major role in the absorption of the pulse. The lower part of the nasal bone is more incarcerated than the upper part and can break easily (source: Nasal Fracture in Children). ➤ All patients with nasal bone fractures and / or septal hematomas that cause airway obstruction should be assessed quickly by an otolaryngologist (source: Nasal and Septal Fractures: Background, Epidemiology, Etiology).